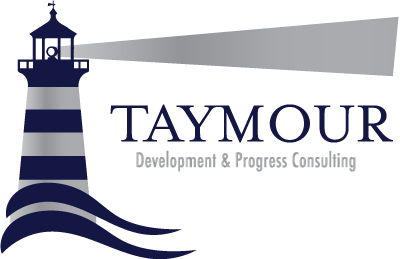 Language That Changes Minds « Taymour Consulting Ltd.
One of the most heartfelt testimonials I recently received from a client was: “Thank you so much, you really are the Jerry McGuire of Life Coaches.” It actually made my day, because although it was a relatively short testimonial compared to what I usually receive; it was potent with meaning and gratitude. It said so much, yet with a handful of words. Which brings me to the main theme of this month’s newsletter: Language That Changes Minds. The power of language still amazes me, because it has the power to start wars, move nations, create revolutions, motivate a platoon, ignite passion and bring tears of joy to your eyes. Language is a vehicle that can transport emotions from one end to another. It can create pictures, sounds, feelings, scents and tastes. Language can activate and manipulate almost all our sub-modalities resulting in instant change in how we feel. It can change how we understand the world around us and offer us an array of colours to choose from to paint our feelings, thoughts and emotions on the canvas of our lives. It can shed light on a dilemma we may be facing, it can change our moods and it can fire us up to complete something we’ve been putting off. In fact, if you notice how inspirational leaders talk to their audience, they always use animated words that trigger off feelings of unity, vision, drive, purpose and passion. They carefully choose their words and construct paragraphs like a master craftsman at work. Most importantly, we can change how we feel by what we say to ourselves and the language we use internally. Time and time again, some of my clients know what they want and what they have to do to get it. Unfortunately, there’s a word they always use that is an energy vampire and that word is: “But”. Although “But” is used on a regular basis in our everyday casual talk, it can have dampening effects which can alter our path and weaken your dreams. “But” is a three letter word that can completely undo everything that came before it. “I can book myself the vacation of my dreams, thanks to this year’s bonus, BUT I can’t be bothered with the way airports are these days. Imagine if none of the above sentences had a big “BUT”. Imagine if those sentences ended before the word “BUT”, and what a different impact they would have. For the next 72 hours, try going on a “but” fast! Completely eliminate it from your external and internal dialogue and notice how you feel, notice how you’ll start thinking and pay attention to the change in your motivation. For the sake of this newsletter, I have only zoomed in on one word (“but”), and there are many more that can ruin moods and dampen dreams. Let me just finish off with another positive addition you can start doing. “I can’t change my job,….” Now add the word “yet” and see how it changes the whole context. “I can’t change my job yet”. Use language to change how you feel for the better. A great way to start is to practice it on friends and family, and notice what powerful changes a few well placed words can do. Then make it a habit by cleaning your language.